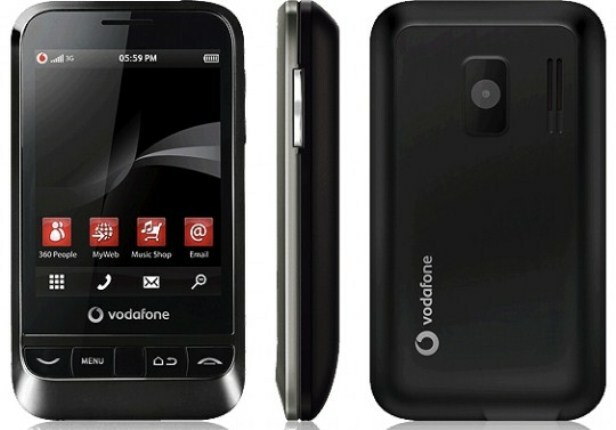 Released in May 2010, the Vodafone 845 Android is a budget smartphone with a wide array of functionality. This is the world’s first Vodafone branded device to run on the Android platform. Taking a quick look at its features, we notice that its processor is not exactly the strongest while there is only a limited storage capacity. However, given previous customer reviews, we could conclude that this affordable phone works perfectly fine for what it does. If you happen to have purchased the phone immediately after its launch, you probably have it for over 2 years at the moment. As it happens in the case of other similar devices, this Vodafone can sometimes be affected by software bugs. If these ones are currently interfering with your user experience, we recommend doing a hard reset on the Vodafone 845 – this is a quick and efficient procedure that will restore the phone to factory settings. Equipped with a TFT resistive touchscreen with 256k colors, this smartphone has 512 MB of total storage space and 128 MB of RAM. It also comes with a Wi-0Fi 802 hotspot and Bluetooth v2.1 with A2DP while its only camera is a 3.15 MP one attached with autofocus. If you love music, you will definitely be pleased to learn that the Vodafone has Stereo FM radio on it and has a WAV/ACC+/MP3/WMA player, as well as one for other types of music files. Lucky enough to run on Android’s OS v2.1 – the Éclair operating system – all of the data stored on this device can be very easily saved. Before you move further with the master reset, you should create a backup first, since all the files will be erased by the end of the process. Using the application for Android phone – Phone Copy – you can put your documents someplace safe. First press the Menu icon on the left of the screen for more options, and then tap Settings to continue. Go to Privacy and scroll down until you see Factory Data Reset and select it. Read the warning and press Reset Phone to confirm. When prompted, choose Erase Everything and let the operation begin. With the device turned off, remove the battery from the slot and reinsert it after 10-15 seconds. Keeping the phone still switched off, press the Volume Up and green Call keys at the same time. While you’re still holding the two previous buttons, press Power and release after 5 seconds. The device will then vibrate and automatically reboot; release all keys at this point.